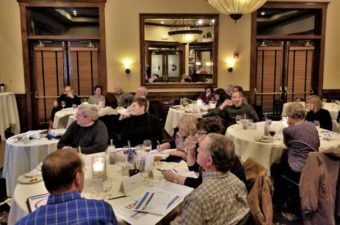 On February 22nd, Global Wealth Advisors co-sponsored a Mindful Retirement Workshop. The workshop featured Joni Youngwirth, managing partner at Commonwealth Financial Network®. At this event, Youngwirth examined issues beyond the financials that foster meaning and joy, including health and wellness, family and relationships, personal development and so much more. Through this thoughtful workshop we explored and discovered how baby boomers are changing attitudes toward retirement!